Tonight’s ComRes phone poll for the Independent has the Tories up 2% closing the gap with LAB to just 4%. This is near the two Populus polls on Friday and today which had 3% margins. The only other pollster to have reported since EdM’s big speech, YouGov, had LAB on 42% a full 11% ahead of the Tories. In situation like this it is hard to say which is right and I do have serious reservations about the party ID ratings which are operated by Populus. ComRes also found that LAB is seen as being more likely than CON to tackle the cost of living crisis but think the Tories are more likely to deliver economic growth. When asked to choose between the two main parties, those polled said that the Tories (42%) would be more likely than Labour (33%) to keep the economy growing. Similarly, nearly half (47%) say that CON would be more likely than LAB to keep public spending under control, compared to 28% who said the opposite. However, by 41% to 31% the sample said they would more likely to think that their own family would be better off under EdM’s party. Ed Milibandâ€™s promise of a 20-month freeze on energy prices if Labour wins the next election has â€œcut throughâ€. Nearly half (48%) say that LAB would be more likely than the CON to keep energy prices down if they won the next election, while only 21% believe the Tories would be more likely to. If you would like to purchase one of Marfâ€™s prints or originals, please contact her here. The monthly Electoral Calculus general election projection is out and as can be seen from the chart LAB is given a 79% chance of an overall majority. Incumbents, particularly first time ones, doing better. The latest trade on the Betfair GE2015 outcome market point to the chances of a CON majority of 24.4% which is substantially higher than the Electoral Calculus figures. The chart shows the latest polling numbers from YouGov with changes on the firm’s last survey for the Sunday Times a week ago. The big thing is not the lead but the movement by 5% in the Labour share. This is a big conference bounce – the question is whether it can be sustained. If these numbers were repeated at a general election LAB would have a very comfortable majority. The poll finds that 45% of those sampled think that GE2015 will produce another coalition with 35% saying it won’t. 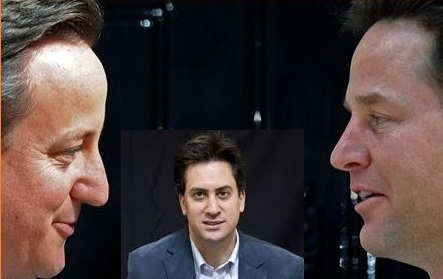 If they had to choose 42% go for a Lab/LD coalition and 36% a Con/LD one. LD voters would go for a LAB coalition by 60% to 32%. On the Labour’s big announcement on the energy price cap the poll finds 63% in favour to 26% against. Ed Miliband sees a big increase in YouGov’s leader tracker with 30% now thinking that he is doing a good job up from 22% last week. On the face of it this seems odd. For in the comparison standard poll CON and UKIP together had combined support of 44%. Yet just 35% told the pollsters that they would vote for a CON-UKIP alliance. What happened to the other 9%? 56% of the UKIP supporters on the standard question went with the pact – but 44% didn’t. Even more importantly this is what happened when those who said they would be voting CON at GE2015 responded. Even allowing for the fact that a significant proportion of the don’t knows would probably support the pack it is hard to argue with the overall conclusion – the biggest beneficary of such a pact would be Ed Miliband. Itâ€™s been an axiom of political analysis over at least the last quarter century that elections are won on the centre ground, or, if neither of the main two parties is on that ground, then by the party nearest it.Â Occupying and dominating that position was crucial to Tony Blair in government and opposition, and heading towards it defined strategy for his two predecessors too.Â Likewise, David Cameron spent much of his time in opposition making policy and presentation designed to appeal to those in the centre or even on the centre-left.Â Going back further, the downfall of Margaret Thatcher was in no small part due to a perceived excess of ideology and stridency. Against that backdrop it may seem curious that Ed Miliband has therefore chosen to take a leap towards the left and away from the centre.Â However, as HenryG mentioned in his piece yesterday, those who find it so have failed to appreciate the changed political landscape. One point taken far too readily for granted is just what the centre ground is.Â Leaving aside peopleâ€™s personal interests (itâ€™s remarkable how Tories suddenly become socialists when itâ€™s their pet interest that needs state support, or how lefties swing to the right when the supposed collective good runs up against their own), put crudely, the population at large is some way to the left of the political classâ€™ median on economic matters and some way to the right on social ones. Consequently, many people end up voting for parties large parts of whose programme they disagree strongly with (though chances are they disagree even more strongly with those of other parties, or at least with their perception of them).Â That said, large parts of the electorate â€“ even that part of it which votes â€“ are only marginally engaged with politics and have little or no accurate knowledge of specific policies anyway: they are not necessarily anything like the key determining factor. What does matter is image.Â Is a party seen as a threat?Â Are its leaders competent?Â Will it be too divisive â€“ or too craven to powerful interests?Â Will it deliver for people like me?Â Does it speak my language?Â Does it understand the way life is in my community, whatâ€™s wrong and what needs to change?Â Does it understand the world we live in and the way it works?Â And so on. Some of these do have a policy or ideological edge (and the bias tends towards the centre) but not all.Â In any case, the number of swing voter groups has increased and parties have to balance their attractiveness to all of them.Â As Mike has regularly pointed out, the LD-Lab switchers are under present polling more relevant than Con-Lab switchers.Â So are the Con-UKIP ones.Â Neither of these groups sit in the traditional centre so why concentrate on pitching a message there? Milibandâ€™s decision to move left should therefore be seen not as a retreat to a comfort zone (though in no small part thatâ€™s also true) but in terms of defining his public image by what he stands against â€“ something less likely to upset voters than defining by what he stands for. Miliband has adjusted Labour to an effective opposition far faster than either Labour managed in the 1980s or the Conservatives after 1997.Â Perhaps the main reason is that he has refused to be tied to the centre ground in the extent to which heâ€™s been willing to pick fights with unpopular businesses or industries while refusing to accept the governmentâ€™s analysis on the need for austerity (and hence the painful decisions that come with such an analysis).Â It would be no way to run a government but it is a highly effective way to run an opposition. Weâ€™ve seen a plenty column inches devoted to Ed Miliband wanting to take Britain back to the 1970s by committing to freeze energy prices for two years. The title of Dominic Sandbrookâ€™s article in the Daily Mail, â€˜Milibandâ€™s Marxist father and the real reason he wants us to drag us back to the nightmare 70sâ€™ has a full house in the bingo game seeminlgy played by right wing journalists. Well done that man. Whatâ€™s more intriguing is the wider political commentariat whose language might not be so daft but whose assumptions are as out of touch with public understanding and sentiment. The typical media commentator in this country seems wilfully blind to the changing times weâ€™re in and not interested in exploring views contrary to their own. For political punters this provides a challenge and an opportunity. Itâ€™s one of the reasons why the professional pundits badly underestimated a â€˜shockâ€™ hung parliament in 2010. Many objective commentators of this blog appreciated early on that a hung parliament was quite likely. My early 9/2 with Hills on no overall majority was like taking candy from a child. Note the recent ‘shock’ at Lord Ashcroft’s poll from battleground seats showing Labour outboxing the Tories where it counts. I think most of commentators’ mistakes relate to so many of their reference points being so far in the past, combined with the self-reinforcing circles they keep. Many are very well paid and are immune to the economic and social changes taking place elsewhere. Add to the fact that TV increasingly rewards heat rather than light then quite quickly the view becomes none the wiser to what’s really happening. If that doesnâ€™t make you feel old, I donâ€™t know what will. Forget the 70s, new voters in 2015 can’t even remember the 90s. Roberts adds â€˜Tony Blair understood that then: he did not try to win the election that Jim Callaghan lost, nor to reconstruct Harold Wilsonâ€™s winning electoral coalition. If Ed Miliband seeks to emulate what Blair did in 1997, he too must build his own political majority for the era in which he seeks to govern.â€™ The fact that this common sense observation is anything but common, speaks volumes for the current debate. The author makes a similar point to one Mike repeatedly makes here (and is right to do so) that it will be people who previously would have voted Liberal Democrats who will be provide a large part of the support to get Ed Miliband to 40% in the polls. Roberts argues that â€˜to insist that a winning Labour strategy must always and only target Tory switchers is now a matter of political superstition borne of old habits. It is not supported by the psephological evidence for 2015, which is radically different from that of 1997.â€™ Completely right. The essay argues that between them former Lib Dem voters, new voters and former Labour supporters who sat out the 2010 election can take Labour to 40%. He even incorporates expected deaths of Labour voters among his calculations along with some of the ideas that will motivate and retain some of the different groups voters. Roberts doesnâ€™t underestimate some of the challenges but with a clinical eye passing over the different segments of the electorate he draws a highly plausible route map to a Miliband majority. Iâ€™ve read the essay several times now and I urge all punters to do the same, whatever your political inclination. Just as Nate Silver made a mockery of punditry in the US, in their own ways Marcus Roberts and Lord Ashcroft are doing something similar. They are the â€˜moneyballâ€™ analysts of British politics and therefore are a punterâ€™s best friend. Ignore the rentagobs, dismiss the guff about the 70s and put your money on a Labour majority at 6/4. It’s ‘true’ likelihood is odds on and not the 40% implied.